becasue you no why kisss kisss kiss !!!! People that read this book next youu wil love it to bits sooo enjoyy !!! i loved this book, a very different tale to the other books i have read! it got a bit sad when she got rid of all her things then regretted it though. This book is about a girl called floss.She has a friend called Rhiannon, but after a while they split up. Floss makes friends with a girl called Susan. At home her mum and dad and her siblings are planning to go to AUSTRALIA. Floss says NO and stays with her dad at a bakery cafe. After a while they are kicked out of the cafe and they go and stay with her dad’s friend called Billy. This book is amazing and it is very interesting because it is about real family problems. I really enjoyed this book and I know you will too. I rate this book a 10/10!!!!!!!! This book is so good. It is very vivid and fun as well. I loved it to bits! An amazing book about flossy who chose a very weird choice between going with her mum or her dad. When her best friend turns on her she goes to the unpopular kid who turns out to be much nicer than her original one! An amazing story showing family love. It’s a beautiful book. Candy floss goes through troubles but gets through them in the end. Jacqueline Wilson strikes yet again! anyone whose parents are divorced will relate. Good book and good read. When floras mum tells her that she they are movie to Australia flora refuses. Brilliant book as always. The perfect book for Jacqueline Wilson fans. hiya good book jacky i liked lucky i think she really is lucky i am loving these books for my project i done a Jacqueline Wilson one with Queenie and Elsie on great book jacky! This book is brilliant! It’s a great read. I found this book really helpful on how to solve friendship and family issues. This book is full of emotion! This book is the best Jacqueline Wilson book I have read so far! I think that this book was ok, but maybe wasn’t as interesting as some of Jacqueline Wilson’s other books. Sill a great read though! 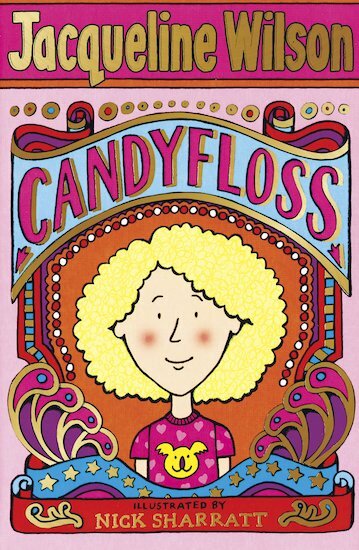 Candyfloss is an fantastic book about a girl called Floss. When her mum goes to Australia with her step-dad and little brother Floss decides to stay with her dad and his chip shop. But then things go wrong and poor Floss is left without a home. Luckily,her fairground friends are there to help! A great book! I love Floss’ koala t-shirt! is a fantastic book. poor little floss is torn between her divorced parents. A really good book. Jacqueline wilson’s magic is extraordinary. And it explains the conflict of separation really well. this book is one of the first Jacqueline Wilson books I read. it is also one of the best! This book is great I would give it 10/10. i think this book is really good for 9 to 12 year old’s and i really recomend it.I like it when floss describes the fun fair and i think its a very good book! It Is A Moving Book , Really Enjoyed it. My Favorite Character Has To Be Floss, She Kind And Very Thoughtful And My Least Favorite Character Has To Be Rhiannon, She’s Nasty And A Bully.5 star to Jacqueline Wilson, brilliant author. I love this book! Especially because the family in it goes away to were my cousins live- Australia!! Candyfloss really touches my heart when she announces that she was staying with her father. It made me cry. Kind of! Poor Susan they all call her Swotty Potty just because her surname is Potts read the book a and find out more !!!!!!!!!!!! An emotional, thought out book about a young girl, flora a.k.a floss/flossie, whose mum moves to oz for 6 months with a new partener while floss stays with her dad in the cafe, charlies cafe. But its about to go wrong… read the book to find out more!! It’s a good book but I don’t like it when the two best friends break up. When we had to do some homework for a display in our school libary I did this book as my favourite book. I have read it more than once and the story is still as dramatic as when I first read it. I would reccomend it to girls especially but also some boys might be interested in it. this book is thrilling. floss is a very cool character!! This is brilliant and also a great book to help people through tough times. Try this now! Great book, I have read it about 20 times! It follows the story of Flossie, and when her mum moves to Australia, she wants to stay with her poor dad, but then his cafe shuts down and they are left on the street. Many other events occur, but you have to read the book to find them out! I loved this book! It was one of the uplifting and enaging books of Jacqueline wilson and totally had me ennthralled into it. I loved it from beginning to end – and the pictures were great as well. I loved how Flora finally gets through all the problems and learns to accept and move on. i want to read this book … can anyone post box me please… i want all Jacqueline Wilson books but i only have illustrated mum, sleepovers and Glubslyme …. over here i cant find any books of my favorite author can you guys help me! I read it in a few days, it’s a great book and you can’t put it down! This book is about a girl called Floss who lives with her mum, her Stepdad and her little stepbrother. Her Dad works in a cafe and Floss sees him every weekend and is very close to him. She has a best friend called Rhiannon and feels safe at school. Everything seems good in her life until her birthday comes, her Mum announces that they are moving to Australia! Floss doesn’t know what to do! She loves her Dad and enjoys spending time helping out in the Cafe, but if she didn’t go she wouldn’t she her Mum until six months after they leave! What should she do? And what adventures follow? I defiantly recommend this book to girls around the age of ten. It is a great holiday read, I couldn’t put it down! I LOVED IT IT WAS AMAZING THE BEGGING I NEARLY CRIED IT WAS SAD HER PARENTS BREAK UP AND IT MUST BE HARD TO DECIDE WHEARE TO GO SHE WANTED TO GO WITH HER MUM TO AUSTRALIA WITH HER MUM OR STAY WITH HER DAD IN THE CAFE I GOT IT FROM THE LIBARY. 4 STARS 4 ME, because i think it got a bit boring in the middle and i havent finished it since and that was 3-4 weeks ago. So if u like a whole chapter that goes on about the same thing read this! This book is brilliant and I love her Dad he is so sweet. I like rose too but my favourite character is Candyfloss!!!!!!!!!!!!!!!!!! I found this book a bit of a drag to read and couldn’t really get into it. i only like this book cause im only half way trough! candyfloss is a caring young girl and cares about her dad very much. she must choose between her dad and mum. think about it you care about your mum and dad don’t you? i love this book, i love the way she is so kind and gives her brother ‘tiger’ hr birthday kangroos, i HATE that her mum goes and leaves her with her dad but i love that she stays with her dad and i think her dad and rose will get married and I LOVE thatshe gets her hair pink at the end!! I think Floss si silly goin to live with her dad instead of her mum. Especially since her mum is moving to Australia! Candyfloss is a brand new and interesting character. 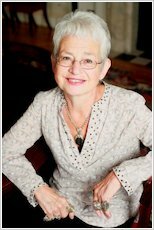 Jacqueline Wilson creates an individual and original voice. Floss has to deal with a lot of changes an this is something lots of us can relate to. I really felt for poor Floss when she had to choe between her mum and her dad! And the way her so-called ‘best friend’ treated her just because she wanted to be friends with someone else was horrible! I’m glad Floss finally got what she wanted! A brilliant book you MUST read it! If I was her I would move to Australia with my mum and family, even if it did mean leaving my dad alone. I like this book, 4 stars. This is another fab book by Jackie! Candyfloss is a loving book about the relationship through father and daughter. When everything around floss begins to crumble her and her dad stick together through thick and thin. This is a good book, not that bad. I liked it! I wanted this book for a long time, and I finally got it. I just read the comments- they are very good, and that makes me want to read it. I can’t wait to read it! I’M READY!! I’M READY!! I loved this book it had a bit of emotional parts and some happy parts but i loved it all i did was read it and take it everywere you should read this…..
i have just finished this book and i thought it was the best book i have read in ages!!!! it is so realistic it makes u feel as if ure in the book! this book was one of jacqueline wilson’s best books i love all the people in the story and i really liked rose !!!!!!!!! One of my favourites for sure. This book is addictive, entertaining and one great peice of work. I am Jacqueline Wilson’s No. 1 fan! Not here to create an arguement Teddy88 – I will be friends with anyone you likes JW! :-) I have read all her books, got all the writing kits, board games, DVD’s ect. And I have pre-orded Hetty Feather (coming out in October). I have also pre-ordered the Tracy Beaker DS game. And I go on the JW website everyday. Please, don’t cause an arguement, I hate cyber-bullying. I am onley on chapter 6 but i lovvvvvvvvvvvvvvvvvvvvvvvvvvvvvve it! Not to be rude but that oZzy girl is sooooooooo not JW NO.1 fan cos I am Iv got 16 books of hers and im getting more! Iv got:Lizze zip mouth,Sleepovers,bad girls,the bed &breakfast star,best freinds,candyfloss!,The cat mummy, double act,the dare game,the illstrated mum,Jacky Daydream,Lola Rose,Midnight,Secrets,Viky Angel and the suitcase kid!!!!!!!!!!!!!!!!!!!!!!!!!!!!!!!!!!!!! I only got 4 books by Jacqueline Wilson but I totally loved them, I have : My Sister Jodie, Midnight, Cookie and Candyfloss. So far my fave book was My Sister Jodie followed by Cookie then Midnight and at the end Candyfloss. This was a awsome book which I couldn’t stop reeading. I think I read it in like 2 days! For anyone who wants to read it I totally recomend it!!! This book is one of my favourites. Ive read it loads of times.Once you start reading it you wont be able to stop! Another great page-turning book by Jacquline Wilson. It is quite sad towards the middle but it ends happily luckily. A tale about making your own choices and decisions. Candyfloss thought it was best to stay with her real dad who owned nothing but a chip van and a cafe. And Little-Miss-Sunshine you can’t be her No.1 fan because you haven’t read this I have read every single book of hers at least twice so you aren’t. This is such a good book! On the last page see what characters you can spot but don’t do that until you’ve read the whole book!Believe me you won’t regret it! I am not going to forget this brilliant book ever!!!!!!!! It is really brilliant that nobody can give up this book until the actually finish it. I really enjoyed it!!. I didn’t think that this book is this brilliant at first, not at all!!!!!!!!! It’s the best book that I have read about Jaqueline Wilson. My Friend loved it so much, she wanted to keep the book. this book looks so cool i want to read it but i havent….....yet! I’M JACQUELINE WILSONS NO 1# FAN! SHES SO COOOOOOL! This book is all about a girl called Floss who has a perfect birthday untill the last present Floss’s mum announces that they are moving to Austrailia. As her mum and Dad are divorced Floss has the choice of going with her Mum and her Mum’s new boyfriend or going to stay with her Dad. After loads of thinking Floss decides to go and stay with her dad in his greasy spoon cafe. But life is very hard as they live on CHIP BUTTIES and dad is quite usless at ironing but as all stories end they have a happy ending you will have to read this book to find the happy ending. candyfloss is about a girl called floss . her mum is moving to australia with her new husband steve but floss decides to stay at home with her dad in his greasy spoon cafe.the dad is not very good at ironing or putting up swings but they live on a diet of chip butties and candyfloss from the local funfair. but oh no dad loses the greasy spoon cafe and they dont have a home.will their friends from the funfair help? will it be a happy ending? well read the book and you will find out it is really a good book.